IT support or IT support services monitor and maintain computer systems and internal networks of an organization. This includes installing and configuring computer systems, diagnosing faults in hardware and software, offering managed desktop support and resolving technical and application issues either online, in person or through phone. At IT Support Singapore we have team of dedicated tech support personnel who work on both first and second line support. Each has an in-depth understanding of how information systems work with hands-on expertise that allows them to implement their knowledge to resolve issues and install hardware as well as software. The country of Singapore offers a number of business opportunities for those who are ambitious enough to seek them. This is one of the main reasons why more and more entrepreneurs are choosing to set up new and existing enterprises there and migrating to the country. However, without appropriate tech support, even the greatest business ideas can fail before they have time to become profitable. At IT Support Singapore, we take those concerns very seriously and can give your Singapore-based businesses managed IT services that can provide a competitive edge. We take a proactive approach when it comes to researching and adopting latest technologies that can aid modern businesses in everyday tasks and keep mission critical data safe. With reliable and quick computer support by your side you can rest assured that all IT glitches and issues will be handled on a priority basis with little to no downtime. IT Support Singapore is one such IT support provider that can aid you in integrating and launching new technologies, thus allowing your business to overcome obstacles and achieve crucial goals on its way to success. We will be your unflinching partners for end-to-end business IT support irrespective of the complexity of your issues. This allows us to ensure that your employees have access to your clientele whenever they need to contact them without any downtime. For this and other mission critical tasks to be possible, you need robust IT technical support that offers round the clock services to solve technical issues online so that your business remains accessible 24/7. Specially chosen as one of the top firms to receive this recognition presented by Singapore Brand. One of the 50 Most Promising Microsoft Solution Providers in 2016, a recognition from APAC CIOoutlook. As an IT infrastructure service provider, we provide services from technology software to hardware, network resources and IT support services; together they determine the efficiency and reliability of your IT infrastructure. 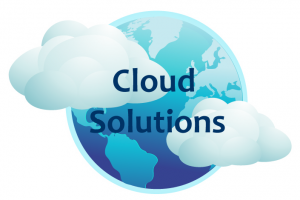 Our cloud solution increases business mobility, productivity and allows for easy workload portability that is much needed to perform business activities smoothly and in a timely manner, regardless of whether or not you are in your office premises. With ERP software solutions, your business can enjoy the following benefits: scalability, improved data management, improved reporting, business analytics, better supply chain management and ensure compliance with industry regulations. Your inability to recover and restore sensitive business data can lead to serious financial losses, result in business discontinuity and damage your market reputation. Consider investing in our database management backup solutions to protect your valuable data. Whether you are relocating your office or expanding your business operations by opening a new office in a new location, setting up and configuring IT equipment calls for hard work and expertise. We ensure your equipment is seamlessly installed, deployed and configured for optimal performance in your new IT landscape. From managing your IT infrastructure to providing you with the best on-demand desktop and troubleshooting services. We manage, monitor and handle all your IT related problems and needs, helping you lower your operational cost and invest your time, money and resources on core business areas-revenue generating tasks. Incorporate the best and effective data security solutions, thereby lowering the risk of data breaches significantly. Our experts assess and create a proper data risk assessment report, identify the gaps and loopholes and accordingly, provide you with the right data security solutions. Primary IT auditing objectives include evaluation of the network and processing, determining risk to assets and company information; and determining IT system inefficiencies to boost the IT performance, efficiency and security needed to achieve optimum business success and mitigating risks. How IT Support Works for you? Testing and analyzing new technology.Installing and configuring new hardware/software applications and operating systems. Troubleshooting tech issues, network problems. Diagnosing and solving system faults. Maintaining computer systems and networks. Replacing faulty parts with appropriate and/or updated ones. Troubleshooting system and network issues. Discussing technical tactics to set up systems or resolve system issues with staff and clients either face to face, over the phone or online. Providing procedural documentation and detailed reports on solved issues or installations. Meeting deadlines on agreed time limits. Setting up systems and repairing faults according to written instructions. Managing multiple open cases simultaneously. Establishing a good working relationship with clients and other professionals such as software developers to ensure timely deliverables. IT consultations for streamlined operations that can work with current systems. Regular electrical safety checks on systems and other hardware to prevent fire hazards and downtime. IT tech support is mainly responsible for ensuring that the businesses that hire them do not have anything to complain about regarding their systems. At IT Support Singapore, we offer all of these services and more to ensure your Singapore based business remains operational all 365 days a year and 24/7. We will work with you to ensure that there are no unnecessary delays and downtime that can hamper your current operations. In fact, when our technicians are done, you will notice a marked difference in how fast and efficiently your systems work. Besides speeding up operations, the adjustments will be appreciated by your employees since the solutions we come up with are tailored to their specific needs as well. Why Choose IT Support for your Business? There are a number of reasons why dedicated business IT support should be one of your priorities as an owner of a growing business. 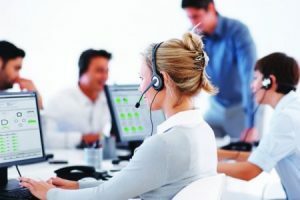 If you have spent days talking to a service provider who is talking in a jargon you cannot understand, chances are you will end up paying for services you might not need. At IT Support Singapore we take your understanding of our services very seriously and will ensure no step or service is implemented until and unless you are completely onboard with it. This includes consultations and meetings with key employees and management to keep operations on track and to keep them in the loop of implemented procedures. If you are a business owner in Singapore, the last thing you need to be doing is filling in for an IT technician who failed to show up. You are not trained to tackle tech issues for one thing so you might end up doing more harm than good. In addition, troubleshooting will waste time that you can use to think up and implement important business tactics. Once you hire our services you can say goodbye to that hassle and maintain your business practices worry free. We can send a technician as soon as you call us or talk with your existing IT personnel to walk them through possible solutions all without interrupting normal operations. By allowing skilled IT support to handle your systems and networking issues, you can breathe a sigh of relief knowing that your business will remain accessible around the clock. This will ensure your employees and management receive timely access to specialist knowledge and skills when they require it. At IT Support Singapore, our trained and experienced technicians are in touch with the latest trends and technologies that can aid small and large businesses in meeting business goals quickly and efficiently. A managed IT support network can allow you to stretch your internal resources at minimal cost to your business. Besides doing away with capital outlay, this will also reduce incremental costs of add-ons to different systems. At IT Support Singapore we offer a number of services that can not only cut down on such unnecessary expenses but also increase your business revenues with state of the art and robust applications. By hiring an IT support company to maintain your business’s tech needs and systems, you can make optimal use of existing resources by reducing work load on employees. This will open up more time for them which they can use for more productive endeavors and hone their core competencies at the same time. Since IT Support Singapore has a stellar track record for fast system and hardware implementations, we can reduce time to productivity for your company without affecting your existing support personnel. Even if you have a backup plan to save your business critical data in case of a power shutdown or fire outbreak, can you recover all of it in one piece? At IT Support Singapore we can implement backup support and recovery programs that can not only keep confidential data safe from intruders but make it readily available in case of a complete system shutdown. Our technicians will also be on call throughout the entire week and all 24 hours of the day and night if you need to make an emergency request. In such cases we will give our best to ensure your systems and data are recovered with minimal to no damage. All in all a dedicated team of IT support technicians can ensure your Singapore based business remains functional throughout the year with little to no downtime. This includes more effective cost control, high customer satisfaction levels, streamlined processes, fast in-house tech support, in-depth consultations with key employees and managers’ beforehand, troubleshooting desktop and network issues to prevent downtime, and other services that keep your business on the path of unimpeded progress. At IT Support Singapore we will ensure streamlined service delivery that will remain as clear to you as it will be to our technicians. We promise higher levels of efficiency by focusing on limiting business resources and replacing them with updated models that can increase business productivity, increase revenues, aid you in concentrating on core business practices without distractions, and increase employee morale with efficient systems.